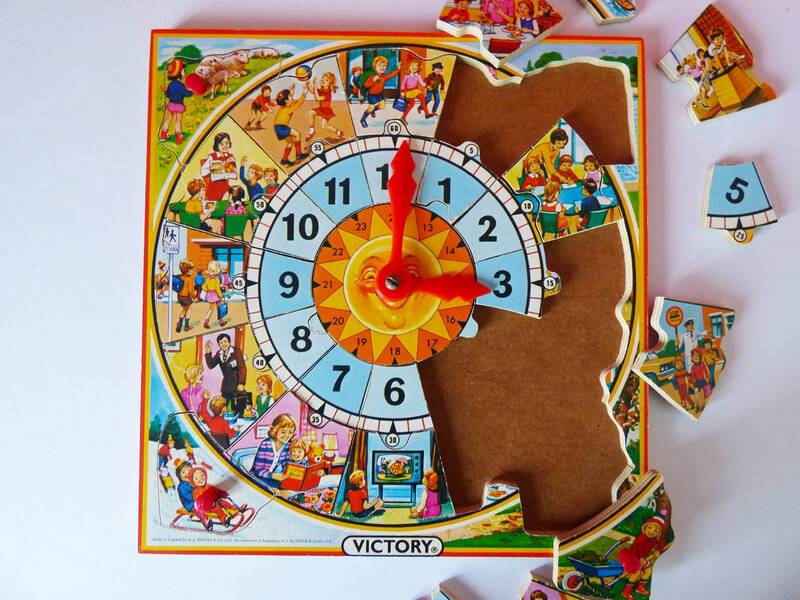 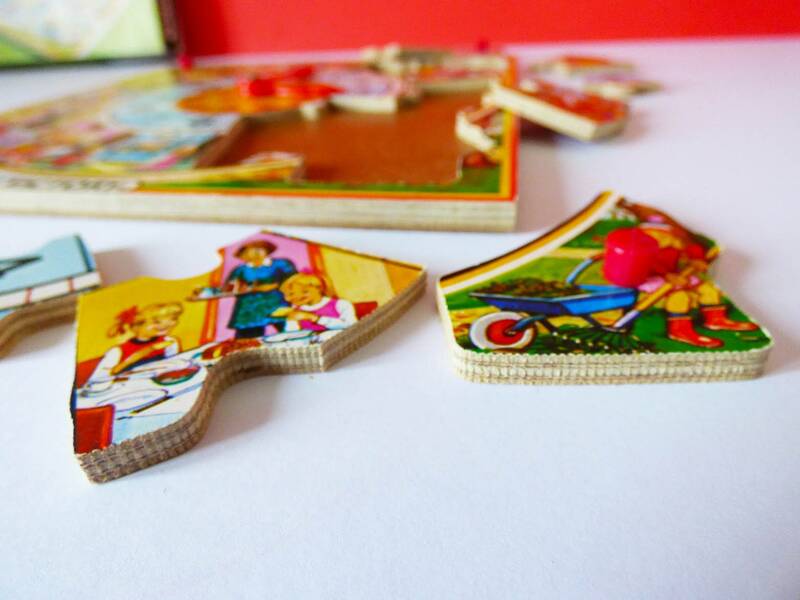 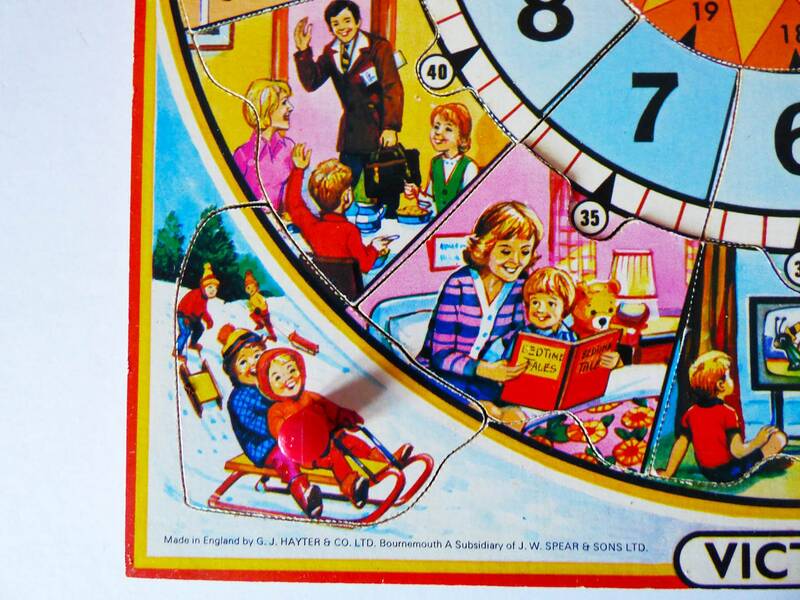 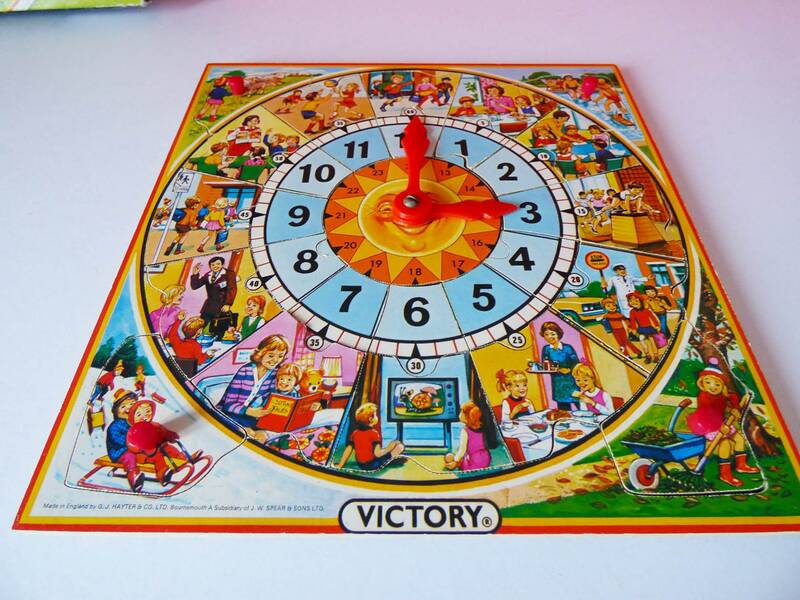 Vintage wooden clock puzzle made by G J Hayter & co of Bournmouth, for Spear & Sons Ltd of England, made in 1977. 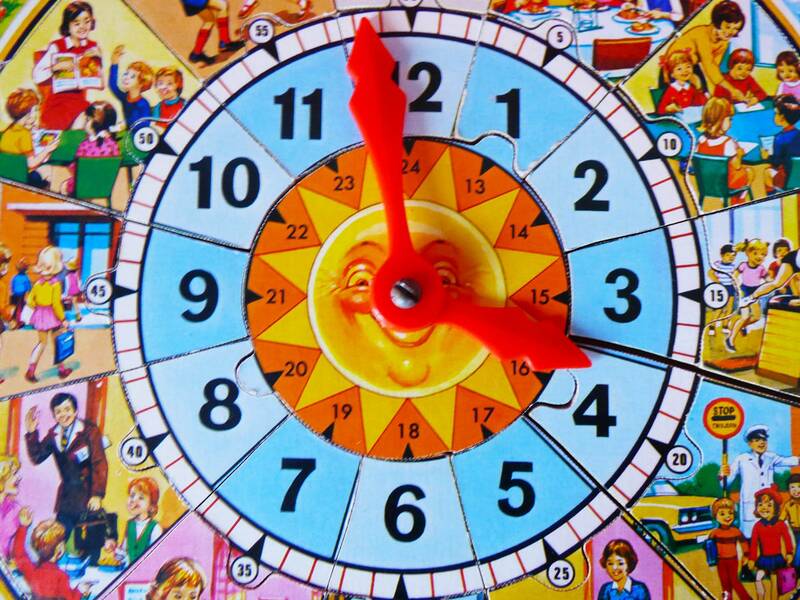 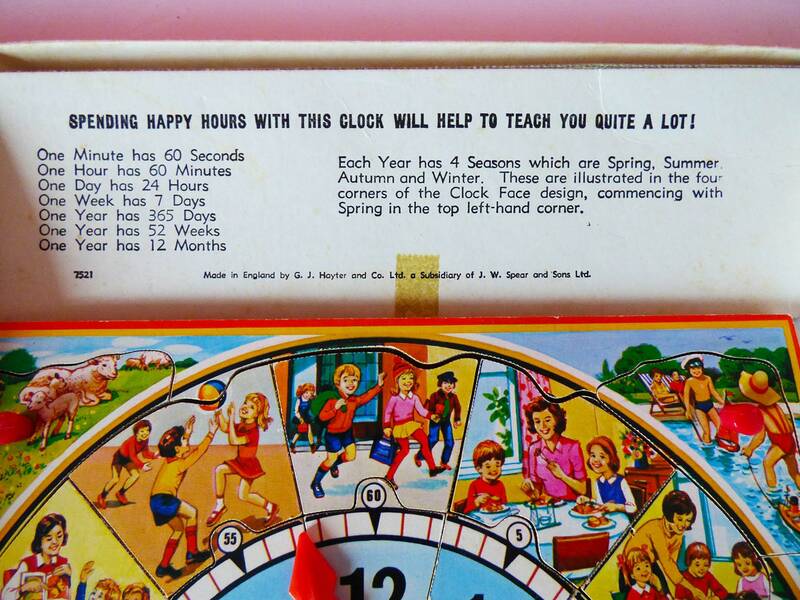 The sun in the middle is the only part of the puzzle that isn't removable, the times of the day are illustrated with different activities throughout the day, and the corners are 4 peg puzzle pieces, which show the seasons of the year. 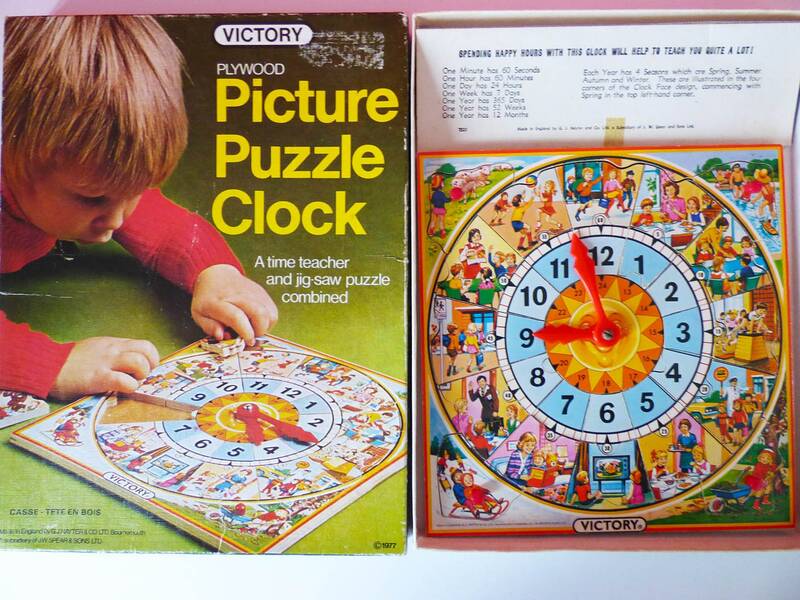 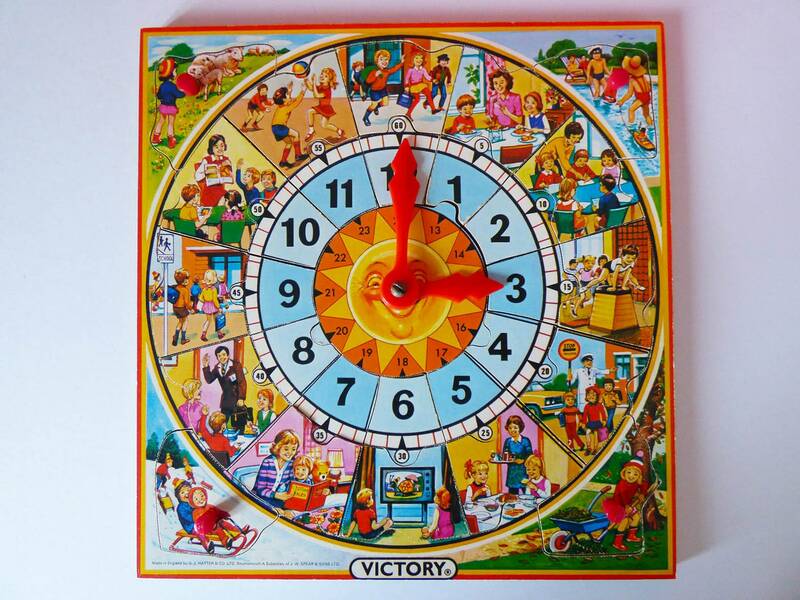 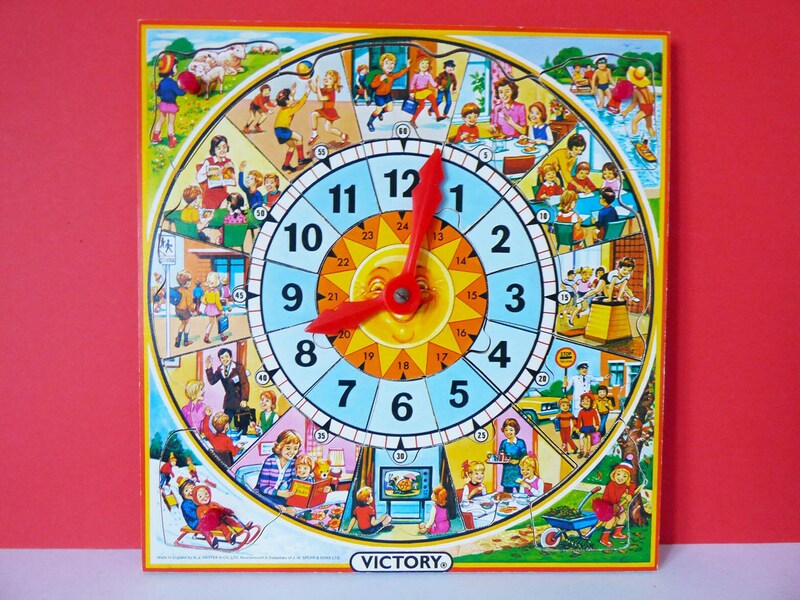 The clock puzzle even teaches the 24 hour clock..... A wonderful teaching aid, functional yet beautiful, a great design. 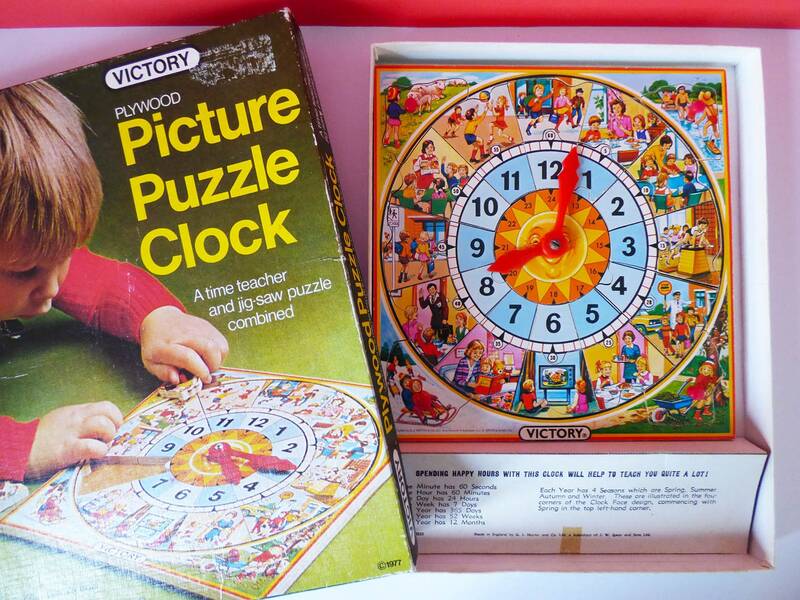 The Clock is in great condition, the box is a little worn, a great find.